Thailand – November 19, 2018 – Aruba, a Hewlett Packard Enterprise company (NYSE: HPE), today announced a new family of 802.11ax (Wi-Fi 6) IoT-ready wireless access points (APs) and complementary access switches, along with innovations in security, intelligent power management, and Artificial Intelligence (AI)-powered automation and service assurance, to deliver the performance, simplicity and reliability that organizations need to give users exceptional digital experiences. Aruba is also the first Wi-Fi vendor to integrate Bluetooth 5, the latest version of the Bluetooth wireless communication standard, into its APs combined with an integrated Zigbee radio. These new capabilities enable IoT use cases, such as smart door locks and electronic shelf labels, whileBluetooth 5 delivers user-aware indoor location allowing IT to create personalized experiences. In addition, Aruba is delivering industry-first power management innovations allowing customers to preserve their existing PoE switch investments while significantly reducing AP power consumption during off-peak hours. These unique features include Intelligent Power Monitoring, a capability delivered by Aruba Operating System (AOS) 8, and NetInsight Green AP, part of Aruba’s AI-powered analytics and assurance solution. Enterprises preparing for the future of work must offer engaging, consumer-like experiences and deliver technologies that enable, rather than hinder, streamlined work execution, according to Gartner. He added: “Organizations are already experiencing crowded or overlapping coverage networks. The new 802.11ax Wi-Fi standards solve these issues and improve overall transmission efficiency, throughput as well as user experience. In verticals such as hospitality, retail, education and healthcare, the upgrade provides better performance and enhanced Wi-Fi coexistence to accommodate to different needs of different applications or devices- be it voice, video, data or IoT”. 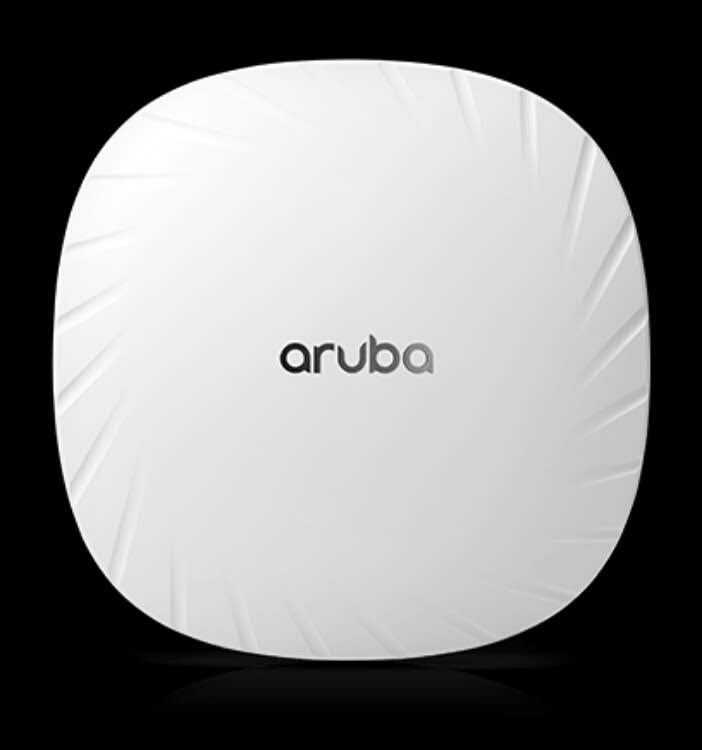 The Aruba 510 Series APs, a new series of 802.11ax, IoT-ready APs, with advanced security, AI-powered RF optimization, intelligent power monitoring, and integrated Zigbee and Bluetooth 5 radios. The Aruba 2930M access switches, with support for the 802.3bt standard to provide higher power PoE (up to 60 watts per port), a requirement for some high-end 802.11ax APs. An effective AI solution requires expertise, clean data to feed the algorithms that deliver network automation and assurance, and real-world experiences to validate the solution’s effectiveness. 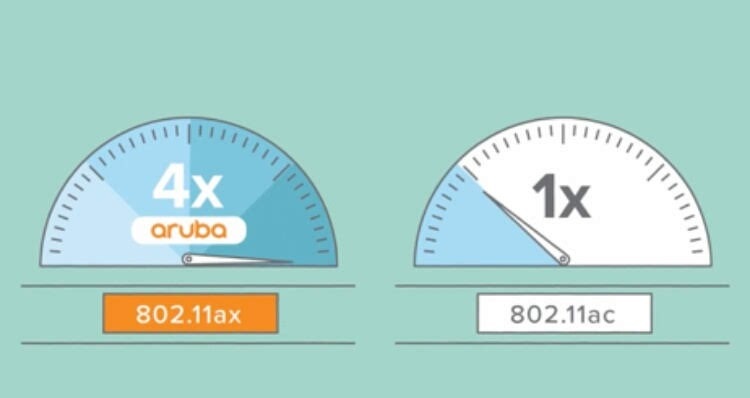 Aruba has a unique advantage over many competitors, including 16 years of Wi-Fi expertise, with learnings and best practices built into the AI algorithms from the largest edge networks in the world and from millions of installed APs to deliver secure, autonomous network operations. The new 510 Series APs work in concert with Aruba NetInsight to proactively monitor the network, generating actionable insights and recommendations based on peer comparisons and benchmarks, and applying them to the network autonomously. This allows businesses to deliver the kind of improved performance and efficiency needed for today’s highly mobile and IoT-centric businesses, while continually improving experiences for their users and customers. The Aruba 510 series is the industry’s first set of 802.11ax APs with integrated support for Zigbee and Bluetooth 5, enabling Aruba customers to support 74% of IoT devices. Having all three wireless technologies available in a single AP gives customers powerful, extensive connectivity. In addition, customers can significantly reduce both their capital and operational expenditures since the Aruba infrastructure with Zigbee integration eliminates the need to deploy and operate a separate network. Additionally, Aruba’s Intelligent Power Monitoring (IPM) actively measures the power utilization of an AP and dynamically adapts to the available power resources. Technology organizations can define and prioritize which capabilities to disable when an AP is operating over its power budget. IPM will begin taking power reduction steps autonomously as defined by the priority definition until the AP is operating within the power budget. 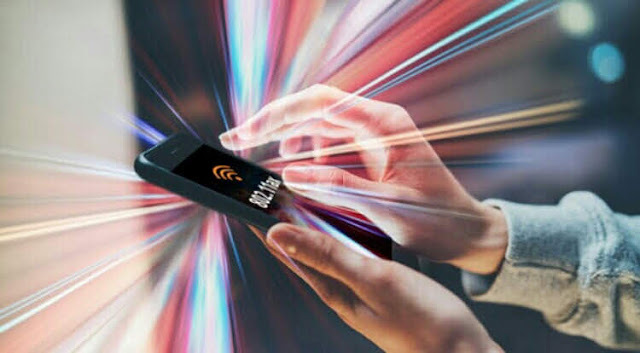 WPA3 adds new features to simplify Wi-Fi security, enable more robust authentication, and deliver increased strength for industries with highly sensitive data, such as government or finance. Wi-Fi Enhanced Open complements the security WPA3 delivers by improving data privacy while maintaining ease-of-use in open public networks where user authentication is not required, such as local coffee shops, airports and stadiums. The Aruba 510 Series APs are available now and Aruba 2930M access switch is available also The new version of NetInsight with Green AP will be available in the first quarter of 2019, with one-year subscriptions.